There are a lot of eyes on European F3 this weekend as Mick Schumacher looks to win the championship. He could have done it in the first race of the weekend, but contact with teammate Marcus Armstrong damaged his front wing and left him fighting from the back after a pit stop. Up at the front, Guanyu Zhou took victory from Robert Shwartzman, with Schumacher’s main rival Dan Ticktum in fifth. However, there was some slight confusion at the end when the chequered flag was put out a lap too early. Some drivers backed off thinking it was the finish, other continued to go at it knowing there was still another lap to go. 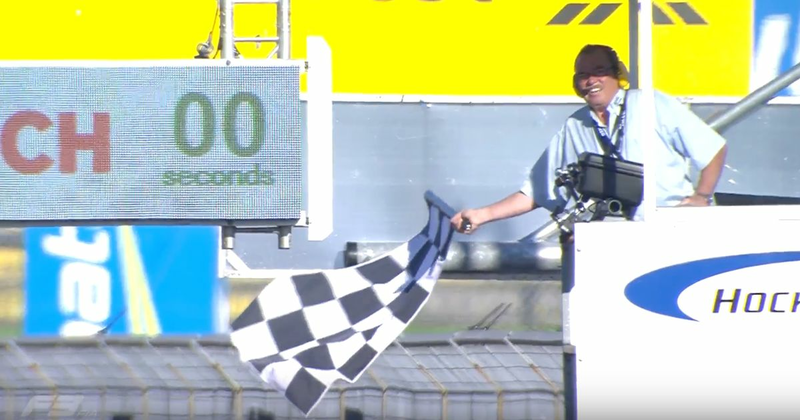 As usual, the result counted from the lap the flag was thrown, but you have to wonder… how is there even a scenario for this? How hard can it be to put the flag out at the right time? Why does this keep happening? We saw the same thing in the Canadian Grand Prix earlier this year, too. Thankfully on this occasion, it didn’t have any effect, but it’s the championship-deciding weekend - it’s easy to imagine a scenario where a small organisational error like that could play a part decide the outcome. After all, you don’t see referees ending football matches after 88 minutes, or T20 cricket matches stopping after 19 overs (well, unless it’s raining). As it is, this time it didn’t seem to affect things too much. Schumacher can clinch the title in race two of the weekend later today by either finishing in the top four positions, or by simply beating Ticktum.